RAIDERS OF THE LOST ARK, 1981. 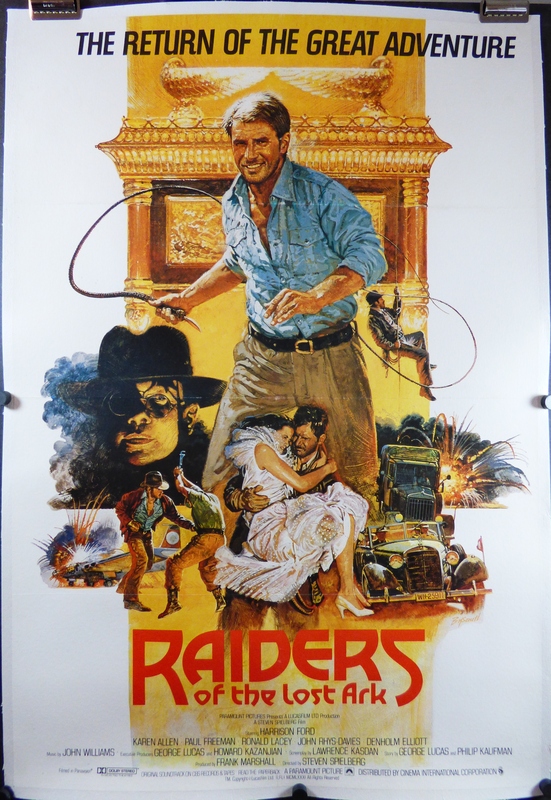 Original, English, One Sheet (27 x 41”), (89 x 125 cm) originally folded and now linen backed movie poster reissued in 1982 starring Harrison Ford and Karen Allen, directed by Steven Spielberg and written by George Lucas. This film won 4 Oscars and had 24 other wins and 21 other nominations. An adventure classic featuring a grave robbing archaeologist “Indy” who battles the evil Nazis to save the world and stop the christian artifact “the ark” from falling into the hands of evil. This poster was in very good C8 condition prior to linen backing, with no significant issues.